The weather is getting warmer, the birds are chirping and it is time to get running! I know many people put running (especially outdoors) on hold over the winter, but it is time to put on those shoes and get out the door! Along with the summer come a ton of road races and fun runs. Here is a quick and simple guide to prepping for a summer full of running! Work up the mileage. The golden rule of mileage is never add more than 10% per week. It is important to remember that our bodies need to get accustomed to new or increased amounts of exercise. If you are new to running a great goal is to run a total of 10k (3-4k a day), second week up to 15k (4-5k a day) and work up from there. Go at your own pace and keep challenging yourself! If you are already an avid runner and are confident running 10k, then work on gradually decreasing your 10k time throughout the summer, you can do this by introducing interval workouts. Rest. It is important to remember that our bodies need rest! Running every day, especially for new runners may lead to fatigue and injury. Make sure you take at least 1 or 2 days off running each week. Your body will thank you! Variety, variety, variety. Running the same loop at the same pace every day may get really boring, really fast. Instead, try switching up routes so that you have at least 3 to work from. As well, add some intervals into your runs! Try this to start: 1 minute running hard, 1 minute running easy, repeat 5-10 times. Remember to always do a 5-10 minute warm-up before any interval workout! Make friends! Running with other people is great, especially if you have the same goals! You can work together to push and motivate each other, helping both of you stay committed to the program. If you have friends that run, make a point of running with them, if you don’t, think about joining a running group! Have fun! You put in the hard work, toughed through some grueling runs, so its time to show off! Whether you want to race for time or just run with your friends, road races are a great way to see the benefits of all your hard work. Rewarding and fun, what could be better?? There are tons of road races and community runs throughout the spring and summer. 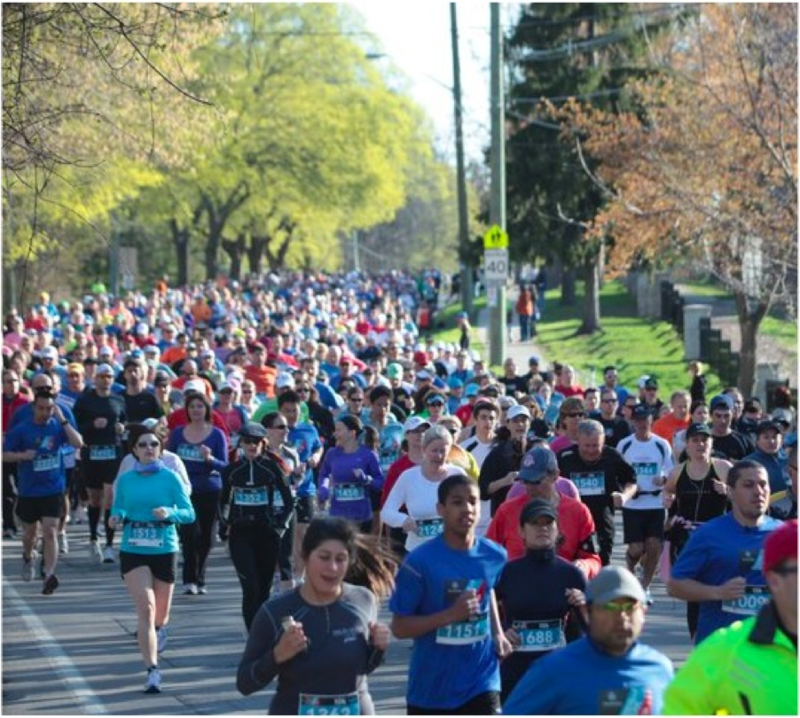 Coming up in only a few weeks is the Mercedes-Benz Oakville 10k! This run series is known for having a great, fun atmosphere, and includes a 10k run/walk, 5k run/walk, 1k Junior Jog and 300m Toddler Trot! If you feel like you are ready to go, get on the road and run for a good cause! Check out the MB10k website for more info and to register! I’ll see you there!